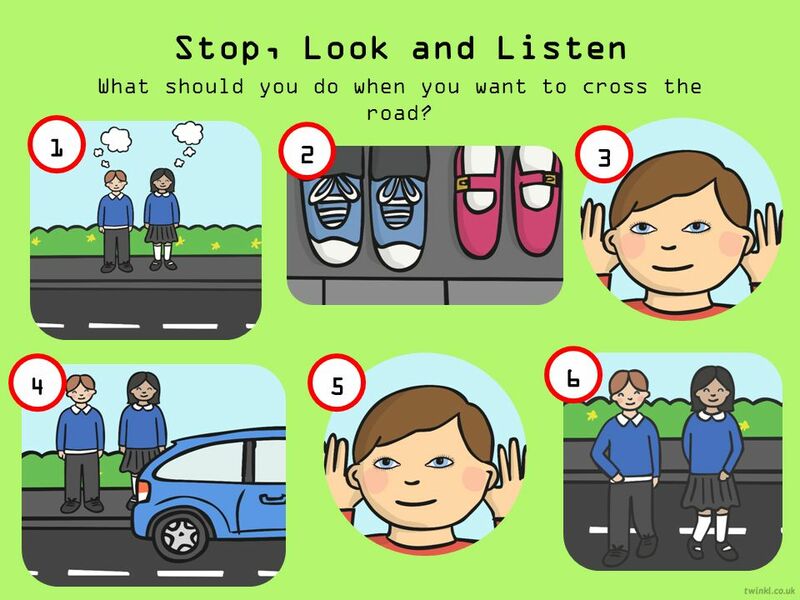 We have been thinking about road safety and the importance of taking care of ourselves and others when we are out and about. We recognise that we are part of a big school and that, especially before and after school, the roads we use can be very busy; this means we need to take care. We've talked about the Green Cross Code and how we must use this if we are walking to or from school. We also talked about scooters and how they are toys rather than a vehicle for travelling and we need to be very careful with them too. As this is a very important issue for us all and we want to keep everyone as safe as we can, we have attached our presentation on the link below. All the points we talked about are included on it, as well as photos that we used to identify the hazards and a short video to help us remember how the consequences of careless behaviour on the road can be very serious. It would be great if you could talk through this at home as well to make sure that everyone is very clear about how to stay safe!